As the use of virtual anatomy increases, awareness of different 3D mesh (digital model) formats is useful. Simply, a 3D mesh is the geometrical representation of an anatomical structure such as a cranium, endocast or tooth. Below, are the main differences, benefits, and uses of common PLY and STL 3D formats. PLY (Stanford Polygon Format) is a 3D file format that was commonly developed from 3D surface scanners and photogrammetry software to allow the preservation of information on surface geometry while retaining information on RGB colour. STL (Stereolithography) is a 3D format commonly generated from software using only grayscale images such as raw CT (Computed Tomography) where RGB colour is not captured. 3D Printers only require preserved information on surface geometry, not colour, leaving STL to be a preferred format for 3D printing technologies. Even though there is no discernible difference between the quality of the 3D mesh types, PLY format offers binary encoding of all information (including RGB colour). This results in a smaller file size, allowing less space occupied on a hard-drive or cloud-storage and faster loading of the 3D mesh into software programs as employed in 3D-geometric morphometrics. In silico Paleoneurology: Testing the untestable? In a perfect world, science should always rely on the scientific method. That is, any scientific hypothesis should be based on systematic observation, measurement and experimentation. In this context, traditional paleoneurological studies have been constrained by the fact that these basic procedures are difficult to put into practice since soft tissues like the brain do not fossilize – not to speak about the biochemical and physiological phenomena underlying all neural processes. Even if the superficial anatomy of the brain in extinct species may be studied indirectly by means of the so called endocasts (ie. 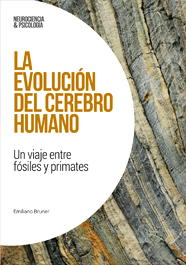 molds of the endocranial cavity), the fragmentary and incomplete nature of the fossil record has limited the extent to which brain geometry may be reconstructed with accuracy and, hence, its quantification. Furthermore, testing evolutionary hypotheses through experimental approaches is in most cases impossible, as macroevolutionary processes require large amounts of time to take place. These limitations had led to a situation in which both academic and non-academic readers had become highly skeptical about paleoneurological studies and their conclusions. However, paleoneurology has experienced a substantial growth in the last decades thanks to many technical and computational advances and, luckily, the just mentioned problems may be regarded as part of the past. Among all computer-based techniques, computed tomography (CT), geometric morphometrics and numerical modeling approaches probably stand as the most significant developments within the field. In the first case, the tedious (and often imprecise) manufacture of physical endocranial casts has been replaced by standard biomedical imaging procedures for the digital reconstruction of endocasts. CT-based endocranial reconstructions are not only easier and faster to obtain, but also provide more detailed and complete information as they allow for the removal of the geological matrix attached to the endocranial walls of many fossil skulls. On the other hand, geometric morphometrics provide a robust analytical framework for the quantitative analysis of endocranial form variation and covariation patterns. It is worth noting that the sophisticated thin-plate spline (TPS) algorithms lying at the core of these methods provide a basis for the statistical reconstruction of missing or taphonomicaly deformed elements of fossil remains, thus reducing the degree of subjectivity which traditionally relied solely on the observer’s experience. Moreover, TPS interpolation algorithms may also be used to perform virtual experiments through geometrical simulations or to virtually reconstruct soft tissues such as the brain itself. Finally, numerical modeling approaches are specially promising to investigate brain evolution from an engineering point of view. In this case, numerical simulations emerge as a powerful tool to analyze and experiment on the basic physical principles underlying cerebral and cranial design, ranging from biomechanics to thermodynamics.